The person's Cause of Death will only display if you have already typed it into the Cause of Death field. This field is located in the Medical Notes. Just click on a person's Notes icon, and click on the Medical tab. Whatever is entered in this Cause of Death field will appear in the Family View. I've seen a lot of interesting causes of death in my ancestors' records. This ancestor's death record says he was "gored by a bull". That doesn't sound fun. Have you seen anything unique in your ancestors' records? Today marks the birthday/anniversary of a different kind. It's now been four years since our first Legacy News blog article was published. This is blog post number 731. I had high hopes of writing every single day. Turns out that I've only written every other day . . . for four years. I seriously thought that after finishing my four-year degree in Genealogy that my laborious writing days were finally over. Writing is no longer laborious, I actually look forward to contributing to this blog. I'm certainly no expert in writing, but I do try to help our Legacy Family Tree users stay updated with genealogical news and every once in a while, I try to throw in a good tip or two. Four-and-a-half years ago, I had no idea what a blog was. I remember talking with Leland Meitzler at the Salt Lake Institute of Genealogy. He hinted that he had an exciting new idea. His idea turned into the first well-known (maybe the first ever?) blog dedicated to genealogy - GenealogyBlog.com. Today, according to Chris Dunham's Genealogy Blog Finder, there are over 1,400 blogs dedicated to our "addiction". Over 250,000 of you subscribe to this blog. (To subscribe, enter your email in the Subscribe Me! section in the upper right of this web page.) This year, Legacy News even made the first-ever "25 most popular genealogy blogs" list. Our first blog article, published on August 25, 2005, was entitled "WorldCat Reaches 1 Billion Holdings". It taught how to search this wonderful database, but it could only be accessed via subscription. Today WorldCat is freely searchable either online at http://www.worldcat.org/ or on your mobile phone at http://www.worldcat.org/m/. My how times have changed - in only four years. I've also announced the births of my last two children in Legacy News. Braden in 2005 and Kaitlyn in 2009. Thanks for putting up with these "personal editorials". Your Legacy Database - Should You Split It? How good are the FamilySearch Indexing indexes? Which name should I record? Thanks to all of our readers for all of your comments. Interacting with you has been fun and educational, and has helped make our software, Legacy Family Tree, the number-one rated genealogy software in the market. I do have Swedish ancestry - lots more than I thought I had. Using Legacy's Search tool (click on image below) I found that I have 332 individuals who were born in Sweden - 72 of those are my direct line (mostly 18th century). The Internet is booming with user-contributed lineage-linked databases. These databases are often the first place researchers look, and for good reason. Before performing original research, we should find out if someone else has already published information on the family. But what should we do with the information we find? The easiest thing to do is to simply add the newly-found information to our family file, either by downloading a GEDCOM file, copying/pasting, or manually retyping the information. We have all faced this dangerous temptation. This week as I searched for and found new information on Oliver STROUD and his wife Mary BROWN, I was faced with the decision - accept what was published, or research and verify the information. I was looking for Oliver and Mary's marriage information. I found information in nine separate databases. Six different researchers published their marriage information as November 21, 1870 in Mills County, Iowa. Two different researchers published April 25, 1871 in Butler County, Nebraska. One researcher published April 28, 1871 in Butler County, Nebraska. How should you determine which is correct? Is the 1870 Iowa marriage "most correct" because it was published the most? No. This most often indicates that one person originally published it, and the others copied and republished. Quality research requires more investigation - not relying on published, undocumented findings as fact. Just yesterday I obtained a copy of the original marriage record and was astonished at what I found. First, I learned that a marriage license was issued in Mills County, Iowa on November 21, 1870. Although six different researchers published this date/place as the date/place of the actual marriage, they were 5 months and 7 days early and about 120 miles off. The marriage record showed that they were married on April 28, 1871 in Butler County, Nebraska. The record also gave the birth place, age, current residence, and the names of each set of parents. Imagine what I would be missing if I relied on someone else's published information. My research rule is to obtain original documents whenever possible, and always locate as many other records as I can to corroborate my findings. A careful evaluation of my findings is now possible. User-contributed databases are wonderful tools as they can help us get in touch with other family researchers who may have other pieces to our ancestral puzzle. However, maintaining a "sense of skepticism" in any genealogical research is crucial to to our genealogical success. We have a great new update for you to download. This update adds new blank census forms for England, Wales, and Ireland, some "handy" additions to the SourceWriter, and fixes a few minor problems you have reported. Many of the additions/changes are the direct result of your suggestions - thanks everyone! Search - Added a new "This Couple Did Not Marry" to the Marriage Detailed search. This lets you create a list of all couples who have the "This couple did not marry" option checked on their Marriage Information screen. SourceWriter - We've added a new "Today's Date" button next to the Date Accessed field, making it even easier to fill in the date. Expand/Contract Locations (View > Master Lists > Location > Options > Expand/Contract) - If USA is on the end of your location and you select the option to Add ", United States" we now change ", USA" to ", United States". In the past you had to first remove the USA and then add the United States. US County Verification - A few updates and changed were made to the US Historical County database. For a list of what has been fixed, click here. Here's a great opportunity to do some free searching. WorldVitalRecords.com is opening their virtual doors to the public for free starting today, August 11 (credit card NOT required!). The promotion runs through Thursday, August 13 (my birthday!). PROVO, UT, August 10, 2009 – WorldVitalRecords.com, an online family history resource, today announced the addition of the largest number of records to be released in a single day since the site launched in 2006. To commemorate this milestone, for the first time WorldVitalRecords is offering free public access to its entire online collection of historical and genealogical records beginning August 11 and continuing through August 13, 2009. The public will have unlimited access to more than one billion records in over 11,000 databases from around the world including newspapers, census, birth, marriage, death, immigration and military records; family trees; stories and publications; and yearbooks. Through a partnership with Newspaper Archive, WorldVitalRecords is adding access to pages from a variety of newspapers from all over the United States, dating from 1759 through 1923. This collection features images of entire newspapers from the western frontier, the Midwest at the turn of the century, and the long time standard of our nation's news, "The New York Times" which includes over 7 million names. Newspaper Archive produces the largest historical newspaper database online, and the collection is fully searchable by keyword and date, and individual pages can be saved or printed. Living in a country of immigrants, ship passenger lists and other records documenting immigration can be an essential part in learning more about your family history. “It is a thrilling experience to see their names transcribed on paper the day they entered this country through the Port of New York. Browsing and searching these passenger lists is a perfect way for someone to start researching their family history. The database, Passenger Arrivals at the Port of New York, 1820-1832 provides documentation of over 150,000 passengers who arrived on nearly 8,000 ships at one of the busiest ports in the United States, New York. In partnership with the website E-Yearbook.com, WorldVitalRecords is doubling its collection of digitized yearbooks. This collection features university yearbooks from the late 1800 to mid 1950’s. E-Yearbook.com houses the largest collection of old college yearbooks on the Internet. Universities featured this week include Duke University, University of Oklahoma, Iowa State and the College of William and Mary. If you have a USB drive, Windows CE-powered cell phone, or a palm device, you can take your Legacy family file on the road. Download and install GENViewer Lite. Click here to start the download. After you have installed GENViewer Lite, insert your USB drive into your computer and copy the gvlite.exe file from the c:\Program Files\MudCreek\GVLite directory to your USB drive. Create a GEDCOM (File > Export to > GEDCOM) of your family file and then copy the file to your USB drive. You can now insert your USB drive into any Windows computer's USB port and view your family file (by running the gvlite.exe file). GENViewer Lite lets you view the Individual and Family Views. The full GENViewer program (free for 15 days) lets you also see the following tabs: Pedigree, Descendants, List, Highlighted, Islands, Sources, Internet. If you already purchased GENViewer, just copy the GenviewerLegacy.exe file to your USB drive. Lots of Legacy users have had success running Legacy from a USB drive after installing MojoPac. I haven't personally experimented with it but it sounds quite promising. This has been discussed in our Legacy User Group mailing list. To learn more, you can search its archives by clicking here. Learn more about MojoPac by clicking here. I carry my cell phone with me nearly everywhere. Everywhere my cell phone goes, my Legacy family file goes too! I've installed the Legacy add-on, Pocket Genealogist, which directly imports and synchronizes my Legacy family file. In fact, Pocket Genealogist is the award winning leader in Genealogy software (PC Magazine winner 5 years in a row) for Windows Mobile based devices. This includes the PocketPC, PocketPC Phone Edition, Smartphones, Handheld PC/Pro and Handheld PC 2000. Pocket Genealogist on your mobile device is more than just a viewing program. You can actually add the names/dates/places you find directly into the program. 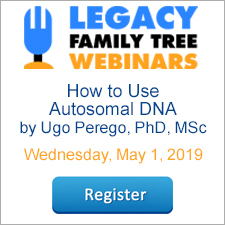 When you come home, it will synchronize with your Legacy family file on your computer, adding all the new information right where it's supposed to go. For more information, or to purchase Pocket Genealogist, click here. GedStar Pro is the premier product for viewing your Legacy family file on your PalmOS handheld PDA or smartphone. It is optimized for the latest devices with color screens, fast processors, and increased storage space. GedStar Pro will directly import data from your Legacy family file. In this way it can take advantage of most of your genealogy program's features to store and display virtually all of your important data. All events — primary and alternate, standard and custom — can be converted, along with their source citations, sureties, notes, and repositories. It will even include your research task to-do list. The new GedStar Pro V3.0 has powerful a name-search feature with Soundex support, several new lists of resources, a data export function, and even an "On-This-Day" feature that shows events that occurred on a particular day of the year. For more information, or to purchase GedStar Pro, click here. We've just returned from one of the most successful genealogy conferences ever in Provo, Utah where we gave away numerous prizes including an Acer Netbook computer. Congrats to our netbook winner - Christine Baird! The highlight of the conference was our Thursday evening class where, for the first time ever, we demonstrated our highly-anticipated FamilySearch integration software. There were so many of you attending the class (over 300) that we had to move everyone to the big auditorium (thanks to Marlo of Heritage Collector Suite for switching rooms with us!). Although the software was not yet complete, I must admit it was fun to hear the applause and cheering as we showed how the software works. 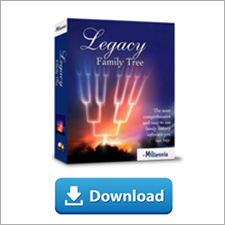 I'm really excited about it and cannot wait to start using it with my Legacy Family Tree database. We announced that within the next two weeks we would begin its certification process with FamilySearch and have the free update available to you before the end of the year (of course we hope it's much sooner than that but we're learning not to announce "soon" anymore :)). Upcoming conferences. In the next two months, we will participate in some of the largest genealogy conferences in the country. If you're in the area, we hope you'll stop by and say hello. Leonard Plaizier, assistant director of the multi-stake Family History Center in Bountiful, Utah, will also present two overview classes on Legacy Family Tree. For more information, or to register, please visit http://www.fhexpos.com/events/upcoming.php?event_id=50. Visit us in booths 319 and 418 for conference-special-pricing. We love these national conferences because we get to meet so many of our Legacy users. Bring along your suggestions and questions. For more information, or to register, please visit http://fgs.org/2009conference/index.php. All the other conferences are great, of course, but we cannot wait for this one. We've got a great group signed up, ready to see parts of the world I've only dreamed of visiting. On the sea days we'll have lots of genealogy/technology/Legacy classes and time to make lasting friendships with our Legacy users. Our ports of call include Rome, Naples/Pompeii, Dubrovnik, Venice, Katakolon, Athens, Ephesus, and Istanbul. In addition to bringing along my laptop and projector for the classes, I'll also be bringing my wife and 8-month-old daughter. I'm a bit nervous about the long plane ride to Spain with my baby, but it will be fun to "show her off". For more information about our 2009 genealogy cruise, visit http://www.legacyfamilytree.com/CruiseInfo_2009med.asp.